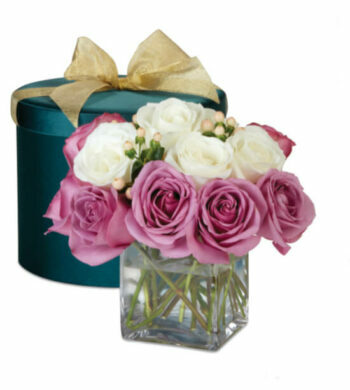 The sweetest, warmest, most sunshine-like surprise for when your best thoughts and love need to be sent. 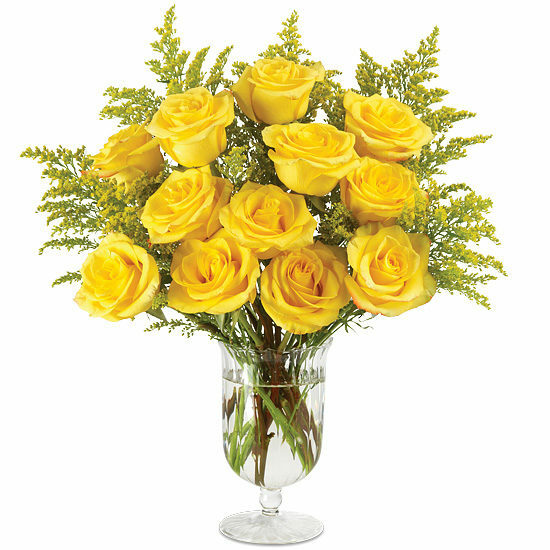 A dozen High & Yellow Magic roses with larger-than-life blooms and beautiful, open blossoms look simply stunning when matched with several stems of feathery solidago. 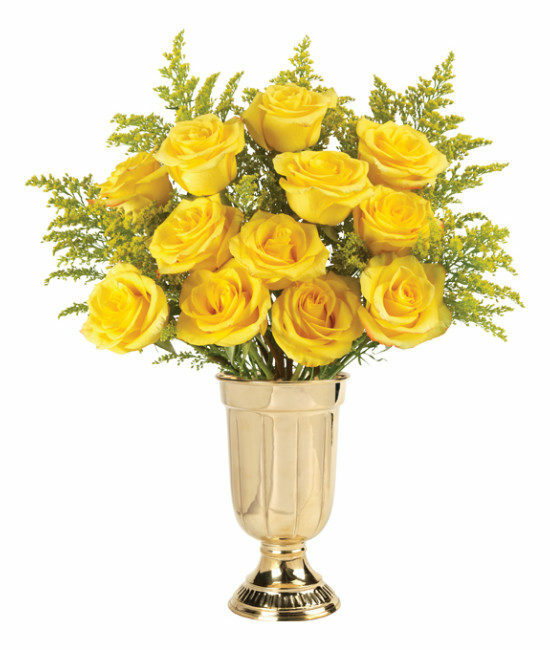 Grand in size and sophisticated in presentation, the bouquet stands tall in our gold pedestal vase – a piece that will be treasured for many years after the flowers have faded.